LPNs function as vital members of the healthcare team, using their sound judgment and critical thinking to provide safe and effective care to the patients they serve. 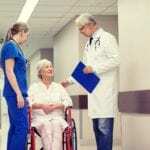 They are responsible for most of the direct care to patients in health care facilities. They participate in the planning, implementation, and assessment of patient care plans. Due to their heavy involvement in the plan, they directly impact patients’ emotional and physical comfort. While they perform a lot of their tasks independently, they report directly to registered nurses or physicians. They are often called upon to perform specialized nursing functions, such as administering medications and therapeutic treatments. On a typical day, an LPN might take and record vital signs, dress wounds, observe patients and report adverse reactions, administer medication and monitor IV equipment. LPNs work in almost all health care delivery systems, including hospitals, nursing homes, rehab centers, physicians’ offices, clinics, schools, and home health care agencies. The Vermont Board of Nursing requires prospective nurses to obtain a license to practice after completing an approved nursing education program. Training for practical nurses is an intensive process designed to expand students’ ability to think independently and accumulate the skills needed to deal with the situations that nurses confront as licensed practitioners. 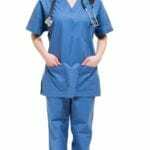 The training is typically shorter than the training required to become a Registered Nurse, which makes it an attractive option for individuals who want to get on with the business of earning an income. At the conclusion of the program, students are more than prepared to deliver safe and patient-centered care as they take up entry-level nursing responsibilities in hospitals, clinics, nursing homes, physicians’ offices, and other healthcare facilities. Program graduates will receive a certificate upon completion that will make them eligible to take the NCLEX-PN. Training begins in the classroom where students learn the basics of human body systems and their function, basic nutrition, pharmacology, growth and development of the human species, fundamentals of nursing, intravenous therapy (available in some programs) and transitioning from student to professional nurse. After receiving the foundational knowledge, students are prepared to accelerate their learning and study specific illnesses and their effects, caring for the elderly, newborns, infants, childbearing women, adults, and those with disabilities. Students also cover the tenets of leadership and apply their learned skills in a laboratory setting before transferring to a local health facility to provide direct patient care under the supervision of experienced faculty. Before enrolling in a program, make sure it is approved by the BON to prevent complications during the licensure process. There are only six approved programs in Vermont, so competition is fierce, and the main school and satellite offices are forced to turn away numerous qualified candidates each year. Attending the optional information session will help you prepare for enrollment and determine whether the training is right for you. To be eligible, you should have a high school diploma or equivalent, provide letters of references demonstrating good moral character, pass the entrance exam, a physical exam, interview, drug screening and criminal background check. Certain criminal activities could prevent your eligibility for entry into the program. Duration and Cost of Training: Tuition is approximately $18,000 in Vermont. The class schedule and whether students enroll in part-time or full-time training also affects the final costs. It is important that you call the school’s administration to find out what is included/not included in the advertised costs. Textbooks, uniform, CPR, liability insurance, admissions fee, lab supplies, and transport to and from the clinical sites are expected additional costs students must cover. The entrance exam and graduation fee may or may not be included in the advertised cost. Sources of funding for the 12-month full-time program may be available through VA and Pell Grants, Federal loans, and private loans. Contact the school’s financial aid office if you need help covering the cost of training. The NCLEX is the final obstacle to commencing your career as a licensed practical nurse. There’s a single testing center in South Burlington, Vermont to meet the state’s demands for testing qualified candidates. The testing center is open 6 days a week and up to 15 hours a day based on demands. If you prefer, you can arrange to take the exam at another convenient location and forward your results to the Vermont Board of Nursing. At the completion of your nursing education program, you should have all the resources you need to pass the exam. The instructor-led classroom instruction and clinical experience will help you to develop sound judgment and critical thinking essential for success. The school will also facilitate preparatory classes to ensure graduates have the confidence needed to pass the exam on the first attempt. It is possible to retake the exam if you fail, but retesting involves paying another application fee to the Board ($30) and registration fee to Pearson Vue ($200). It is also costly in terms of time and delays since you must wait a minimum of 45 days to retake the exam, which is inconvenient if you want to begin practicing. Vermont has an overall high pass rate for the NCLEX-PN compared to other states. Still, it is important to refer to the school’s success rate before enrolling in a school with a consistent pass rate will give you the best chance of success. Registering for the exam is fast and simple with Pearson Vue – the test administrator. Call the toll-free hotline at 1.866.496.2539 or create an account to submit your registration over the internet. Pay the registration fee of $200, using your Visa or MasterCard, to complete the process. Make sure to provide a valid email address and check your email often as it is the only means by which Pearson Vue communicates information to candidates. The Board of Nursing must confirm your eligibility to take the exam. After you submit the completed application, application fee, official transcripts, photograph, and other supporting documents, the VBON will authorize you to take the test and Pearson Vue will issue the Authorization to Test (ATT) indicating available test dates and the expiration date – which is the time you will have to schedule and take the exam. The ATT and Candidate Bulletin contain vital information for scheduling and preparing for exam day, so review these resources carefully to avoid costly mistakes. Your scores will be available to the Board within a few days after testing, and the administration will issue your license if you succeed. You will receive a Candidate Performance Report (CPR) outlining your performance in different sections if you fail the exam. If you need special accommodations, as outlined in the Disability Act, you should make a request at the time you submit your application for licensure. The Board of Nursing serves its purpose to protect public health by requiring nursing professional to obtain a license to practice and ensuring they have to qualifications for licensure. Graduate nurses and those licensed in other states must obtain licensure through examination or endorsement before practicing in Vermont. All applications shall provide evidence of completing an approved nursing education program, which prepares them for practice as licensed practical nurses. Applicants for licensure by exam must pass the national NCLEX-PN to qualify for the licensure from the Board. Endorsement applicants must submit evidence of licensure by exam under the laws of another state, territory, or foreign country. The Board will issue a license, after reviewing all the information, if it determines that the passing scores and education program is equivalent to the requirements for Vermont LPNs. Temporary licenses are available for qualifying endorsement candidates and will not exceed a period of 90-days. The temporary permit is not renewable, and the applicant must cease practice when the license expires. Graduate nurses should submit the application for licensure by exam after completing the nursing education program. The non-refundable application fee of $90 using a check or money order payable to Vermont Secretary of State. A 2” x 2” photograph, taken within the last six months, with your head and shoulders visible. A completed Verification of Education Form, completed and placed in a sealed envelope by the nursing school and sent directly to the Board of Nursing. You can also accept the sealed envelope from the registrar and mail the unopened envelope along with your application for licensure. If you completed your nursing education in Vermont, you do not need to provide official transcripts to the Board. A copy of your driver’s license or other government issued ID. Submit your application to take the NCLEX-PN with Pearson Vue and include the NCLEX ID number on the application form. A written explanatory letter and official orders or court documents for any “yes” answers to the Credential and Fitness Questions. The Board will process the application within 7 to 10 business days after receiving a completed application. If you submit the application in person, the application will be processed the same day. LPNs with a license from another state must apply for licensure by endorsement before practicing in Vermont. A completed Vermont application for licensure by endorsement. The non-refundable application fee of $150 using a check or money order payable to Vermont Secretary of State. Verification of your initial and subsequent license(s) from another state(s). If the state uses Nursys, you can obtain license verification for Vermont. If the state does not participate in electronic verification through Nursys, you should use the Verification requests in the application packet to complete your verification. Complete the required sections and mail to the licensing agencies in your original and current states and request that the agency return the completed form to the Vermont Board of Nursing. Provide a clear copy of your current license to practice as an LPN in another jurisdiction of you’re requesting a temporary permit. The copy should show the license expiration date. LPN licenses expire on January 31 of even-numbered years. 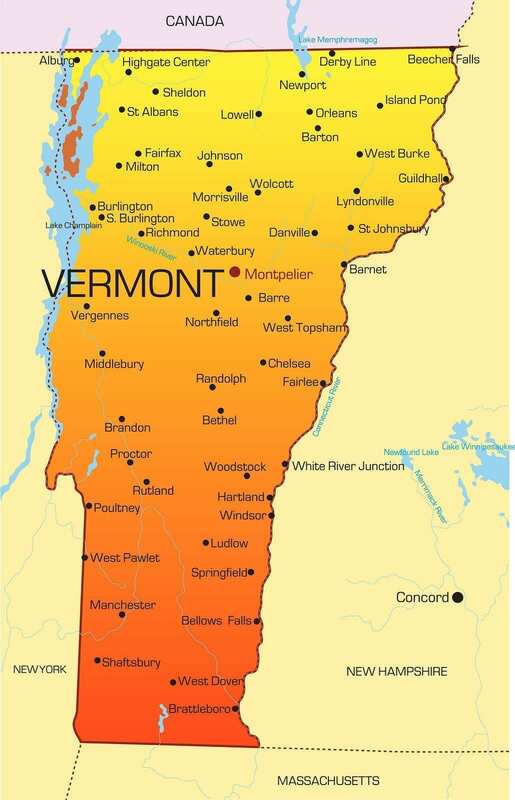 You must renew your license to continue practicing in the State of Vermont. The Board will mail renewal information, to your last known address, 4 to 6 weeks prior to the license expire. However, it is your responsibility to initiate renewal if you do not receive a notice from the Board. The two-year renewal fee is $140 payable by check or money order to the Vermont Secretary of State. Notify the Board if your name changes and provides supporting documents. Include a written explanatory letter and official orders or court documents with your submission if you answer “yes” answers to any of the Credential and Fitness Questions. Completion of 120 days (960 hours) of practice within five years of the end of the licensing period. Applicants must complete a nursing re-entry program if they did not complete the required practice hours for renewal. The Board reserves the right to conduct random employment audits of all licensees. Licensees submitting an application for renewal more than 30 days late must submit verification of employment on the employer’s letterhead. The letter must indicate the dates and a total number of hours worked. At a time where the prospect of employment is grim for Americans without a college degree, and even those with a degree in some fields, nursing provides a rare chance for individuals who want to develop a real career. According to the Labor Department, there are 718,000 licensed practical/vocational nurses across the US, and employment is expected to increase by 25% between the years 2012 to 2022. While the growth in the sector and assurance of employment is appealing to many, it is the low barriers to entry that is most attractive. With a clean criminal background and a high school diploma, almost anyone can complete the 12-month nursing education and pass the NCLEX to begin working as a practical nurse. The education requirements are easier than those required for a registered nurse, so it provides a good point of entry and a clear upward path available with further education. LPNs can become registered nurses, nurse practitioners, nurse anesthetists, or midwives. The best part is that many employers offer tuition reimbursement to employees who want to advance. The growth opportunities are limitless. But what about career opportunities for new graduates in Vermont? There were 1,470 LPNs employed in Vermont in 2014, according to the BLS. Based on the state’s licensing statistics, more than 85% of LPNs are gainfully employed. New graduates can expect to find employment primarily in long-term care facilities, but also in hospitals and outpatient clinics. Approximately 60 percent of newly licensed nurses find employment within 12 months. One factor that affects employment opportunities for a new nurse is a lack of experience as some employers are unwilling to provide on-the-job training, instead opting to hire nurses who can get the job done from day one. As an LPN, you can improve your employment prospects by moving to metropolitan areas and seeking employment in non-traditional areas, such as physicians’ offices, correctional facilities, insurance companies, and outpatient clinics. The median annual wage for Vermont’s LPNs was $44,420 in May 2014. Better off getting your RN instead. LPN license can lead to RN if you go to VTC. Choose a better paying career. I was an LPN for 40 yrs but gave up my license when they insisted that most LPN needed to go back to school for your RN no matter what your skills were or how well you profiled. If you want to be a nurse get your RN and then you won’t have to worry about your job.